Planty is a unique green belt that encircles the Old Town of Krakow. The park was established between 1822 and 1830 in the place of medieval city walls. Fortifications surrounding the city were torn down and the area of the moat, at the time serving as city sewage, was turned into a „city garden”. Krakow’s Planty is, in fact, a complex of several gardens designed in different styles. Generally, the term Planty is used to describe public parks and green belts in the city. Most often those were established in the place of liquidated defensive walls, moats, covered river channels etc. However, in Krakow’s Planty some elements of medieval fortifications were preserved. 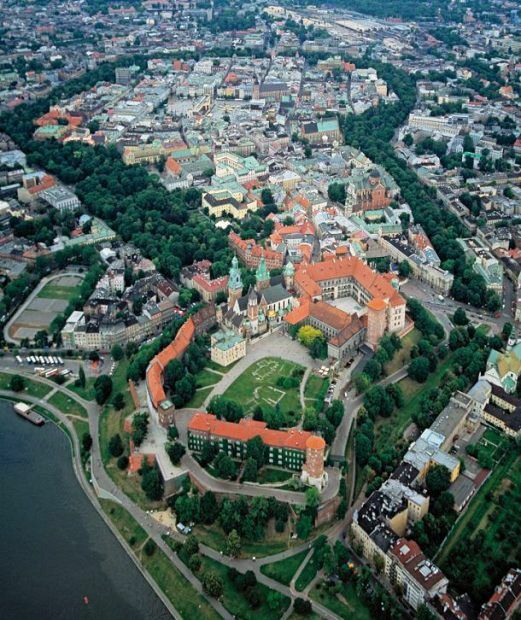 Thanks to an effort of the initiator of the park, Feliks Radwanski, a professor at the Jagiellonian University, St. Florian’s Gate and the Barbican, one of only three such outposts still surviving in Europe, were preserved. The park encircles the whole area of the Old Town. It is a scenic walkway with the most important of city’s locations on the sides. 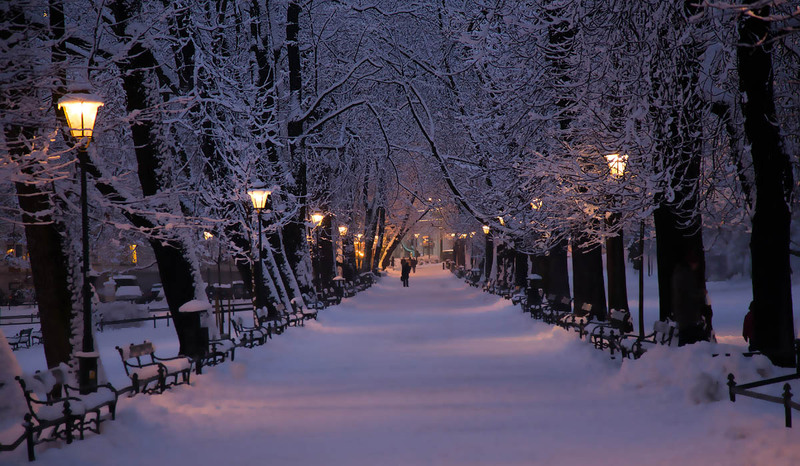 The most beautiful part of Planty’s trails leads directly from the Florianska Street towards the Wawel Royal Castle. This part is an English garden composition with an irregular pattern of tracks. It is a quiet refuge for those who want to take a break from the Old Town’s din. Since the beginning of the new park, it has been planned to put monuments of great Polish and Krakow’s figures there. The first to be honoured with a statue was the founder of Planty – Florian Straszewski, a member of the Senate of Krakow. Every patriotic anniversary was an occasion to unveil a new monument. Therefore there are over twenty statues of noble historical figures in the park – monuments of Nicolaus Copernicus, Jan Matejko, queen Jadwiga and king Wladyslaw II Jagiello, just to name a few. There are also several plaques in the park commemorating, among others, Jan Dlugosz and Stanislaw Wyspianski. To explore Planty, its flora, monuments and the most important sites, visitors can follow a special educational path. It starts on the Florianska Street. Today’s Planty is over 40 hectares. A vast majority of the trees growing in the park still remember the 1820s when the park was established. The main trail in the Garden of Wawel, of chestnut trees, is part of the classical composition from 1825. Around 1830 benches, fences were set in the park and new species of trees were introduced: ash, lindens, maples, hornbeam and spruces. In the second half of the 19th century, a gardener Boleslaw Malecki played an important role in the history of the park. His work was to construct the side alleys, create flower beds, install gas lighting and open playgrounds for children, replace stone benches with wood benches. Around 1890 a number of gazebos and pavilions were erected. Rare species of trees were introduced: European yew, Weymouth pine, sycamore, plane tree, purple beech and exotic plants. After 1925 magnolias and linden broad appeared in Planty. During the winter of 1928-1929 severe frosts damaged many trees in the park. In subsequent years, chestnut trees were massively dying out and were successively replaced with species more durable. During World War II the park had seen a significant devastation. Nazis cut down the bushes and robbed metal fences separating the alleys from the greenery “for military purposes”. In the postwar period, nothing more than simple prevention of further degradation of the Planty took place. In 1989 the decision on the revitalisation was made. During several years small infrastructure has been restored – stylish lamps, fences, benches, etc. Small stone walls were also constructed to outline the former course of the ramparts and the location of towers and gates. 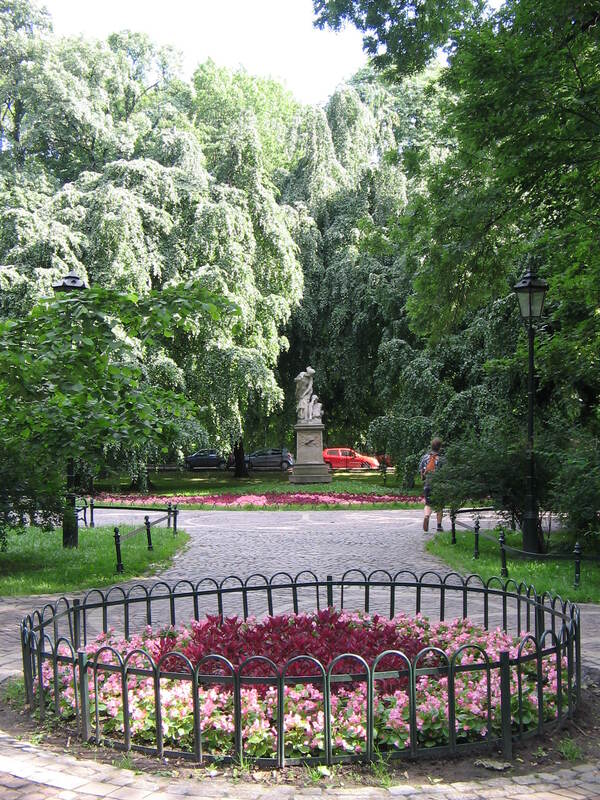 Planty is now one of the most popular parks in Krakow, with locals and tourists alike. 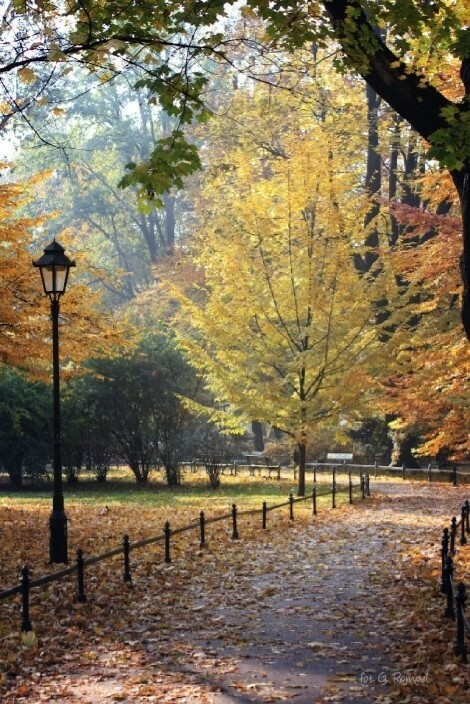 In every season of the year, people are strolling down the park’s alleys and admire its flora as well as numerous historical sites along the way.